UC Cooperative Extension's Yvonne Savio suggests home gardeners check their vitamin gardens every other day to harvest at optimum maturity. Many Americans fall short of the daily recommended doses of vitamins needed for optimal health. Bottled supplements can help, but it's better to fill the gap with a vitamin garden, reported Suzanne Sproul in the Los Angeles Daily News. "In Southern California, we can indeed turn gardens into vitamin patches," said Kari Walker, a UC Cooperative Extension Master Gardener volunteer in LA County. "It is not hard and you don't need a lot of space for a garden." A registered dietician quoted in the story says fruit and vegetables' vitamin levels will be at their highest when eaten raw immediately after harvest. "Nothing beats fruits and vegetables for digestion, sources of fiber and good nutrition," she said. "Mom is always right." 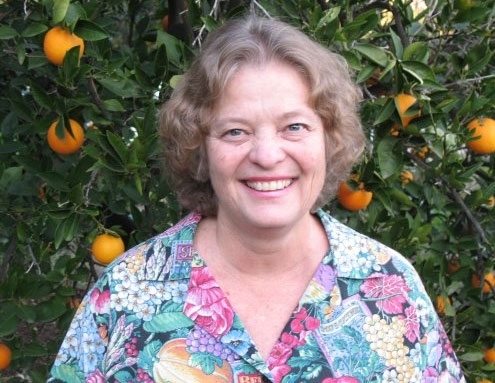 For a sidebar, Sproul turned to the coordinator of the UCCE Master Gardener Program in Los Angeles County, Yvonne Savio. Savio suggested Southern California residents plant lima and snap beans, beets, carrots, celery, cucumbers, eggplants and other heat-tolerant and bolt-resistant lettuces, melons, okra, peppers, sweet potatoes, pumpkins, radishes, summer and winter squash, and tomatoes before the end of June. Add more vitamins to the garden with herbs and spices. Savio suggested lavender, marjoram, rosemary, sage and thyme in sunny, dry areas. Basil, chives, coriander and parsley prefer richer soil with more frequent watering. More details about planting, irrigating, feeding and harvesting a home garden in Southern California are on the LA County Master Gardeners website.